Our Condominium is located off Cedar Avenue in Poughkeepsie, NY just 80 miles north of New York City, nestled along the Hudson River, in scenic Dutchess County, New York. Driving directions are below the map. 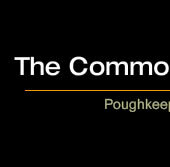 The Clubhouse building address is 15 Knightsbridge, Poughkeepsie, NY 12603. Turn Left onto Cedar Ave.